J&S Refrigeration Co. Ltd. was formed in 1956 by Mr. Gord Jenkins and Erzel Snetzinger. It was a small company with only 3 trucks and 3 servicemen to serve the St Catharines area. J&S primarily looked after commercial refrigeration, heating and cooling and farm cold storage needs. As technology changed and modern times approached, J&S changed as well. In 1974, new ownership saw J&S expand to serve the Niagara region. We also expanded our services to include residential heating and cooling and changed our name to J&S Heating & Air Conditioning. J&S was founded during a time when serving the customer was the top priority. Sixty years later, that tradition continues. 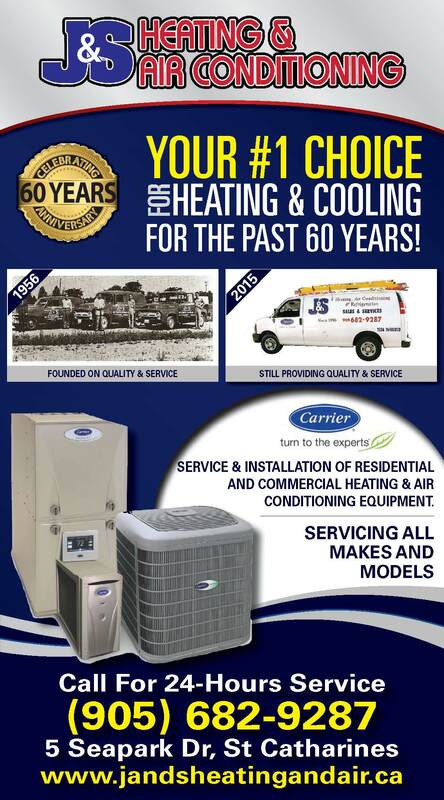 J&S continues to serve the Niagara region as an authorized Carrier® dealer, providing sales, service and maintenance to both residential and commercial customers. We strive to exceed your needs and expectations on every job. You won’t be disappointed. 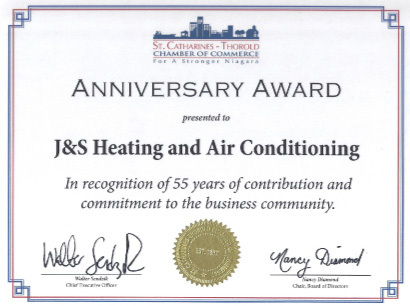 J&S Heating & Air Conditioning was presented with an anniversary award by the St. Catharines-Thorold Chamber of Commerce, commemorating 55 years of exceptional service to the community. 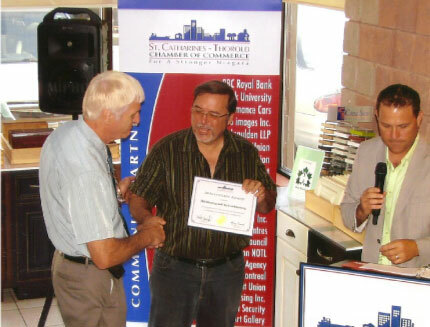 View our certificate of recognition and a photo of the presentation. Are you interested in pricing? Request a quote! I called to request a service call/estimate to correct a problem I've had for more than two years. After having another ...company come to replace a motor on my furnace, the motor has run continuously. This has caused enormously on our electricity bill. The staff who answered helped me fix the problem with a few quick instructions. No fee, no need for service call. What a huge relief. Thank you J&S for your honor!